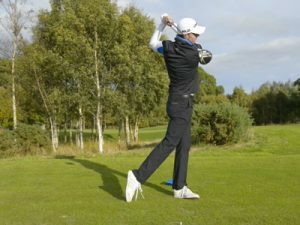 Golf Monthly Top 25 coach John Jacobs has some simple rhythm and timing tips to explain how to hit tight fairways. 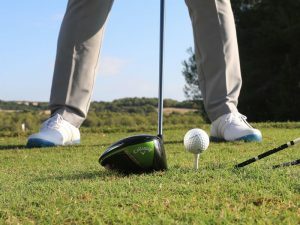 Try these simple yet effective tips if you struggle for rhythm on tough drives and your range rhythm deserts you on the course when it matters. On the driving range, many players swing the club with wonderful rhythm and timing. However, on the course, their swings often bear little resemblance. The reason is simple – pressure causes adrenaline and this, if you’re not prepared for it, can kill your rhythm. Yet rhythm and timing are among the most important things to maintain. The range is a flat field, rather than a shaped golf hole with all its associated pitfalls, so you feel more comfortable there. 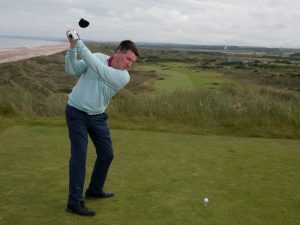 On the course, first focus on where you want the ball to go, rather than where you don’t. 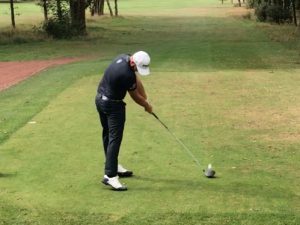 It’s hard (impossible) to block out the danger if it’s looking you in the face so I’d suggest you acknowledge the danger but, just before you hit, visualise what the perfect shot would look like. See the flight, see the shape of the shot. Alternatively, instead of letting your eye be drawn to the trouble, try to get an image of the range in your mind. 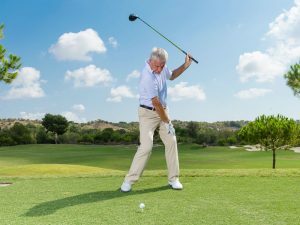 Rhythm and timing are two of the most important things to maintain if you want to play good, consistent golf. 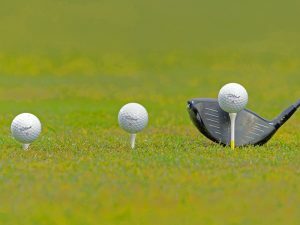 The reason you find it easier to sustain an even-keeled tempo on the range because that range is a flat, open space rather than a shaped golf hole with trouble and pitfalls waiting to catch errant shots. It is important to focus you’re mind on where you want the ball to go, i.e. the fairway, than where you don’t want it to go, i.e. a hazard or OB. 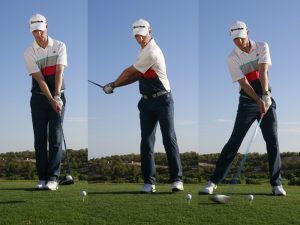 Try to then get the image of the the range in your mind and make a swing just like you would do in a practice session. 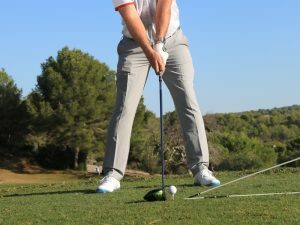 Rehearse the swing without a club, ensuring you keep your arms and hips working at a smooth, slow pace together in unison.